How Do The Moon Phases Influence Aquarius?  The next full moon will occur in Aquarius on July 27, 2018, marking the time for changes, for something new and unexpected. The season favors the most adventurous things so you can either go backpacking or even travel to a distant and not-so-well-known place. Other ideas include visiting a modern art museum or even starting a new endeavor. New plans and new heights are able to break the uniformity of your life, but there are still things to be careful of. Even if you’ve found a new passion don’t forget about your old dreams, plans, and ambitions. Keep it in mind that old friends and old wine are the best! Try to give equal attention to both old and new passions.